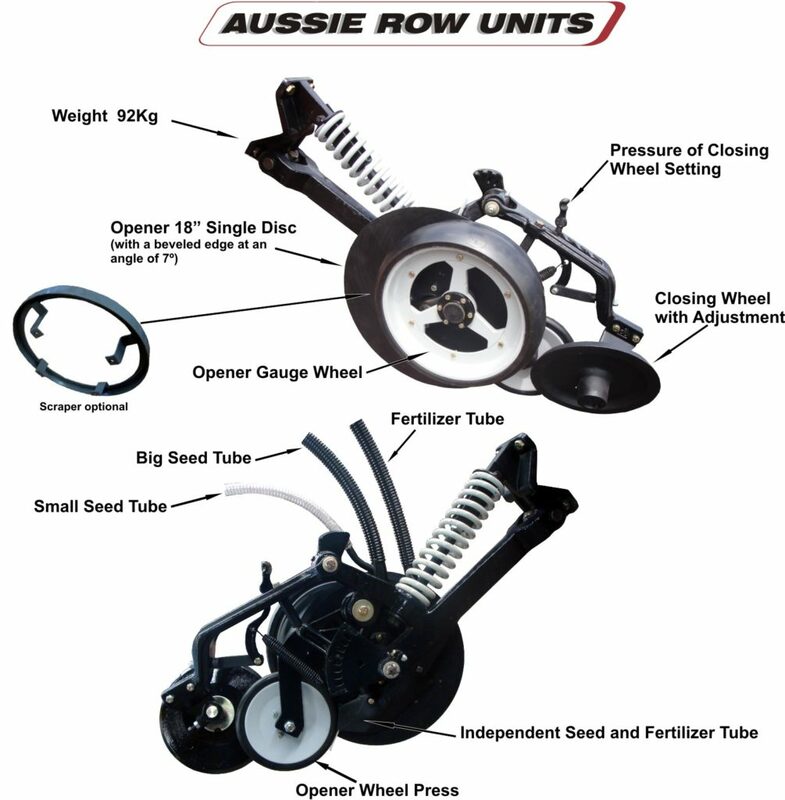 The original Aussie row units, No Till, easy adaptation to different frames, single disc 18″ opener, 7º angle, rubber depth control wheel with open three spoke rim, boot for seed and fertilizer, rubber press wheel, nodular cast iron closing wheel with adjustable pressure and variable position of closing. Low maintenance. Ample stock of spare parts at low cost. FIRST ORIGINAL ABATI TITANIUM® ROW UNITS ! Abati Titanium has been working close to farmers and listening to their request and adapting the row units to suit tough Australian soil conditions. The Aussie row unit has made an impact in the Aussie market and has had a huge positive feedback from the Australian farmers…………….. The Aussie row unit can basically sow into all conditions after extensive testing and trials done through out Australia in a very wet sowing season. 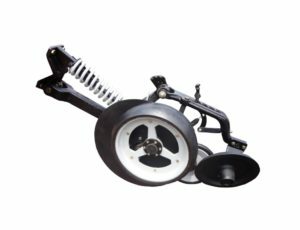 Is extremely easy to maintain and has only two grease points, very quick to adjust depth and an open wheel to enable mud and straw to escape. This row units is receiving high praise from many farmers due to past results in increased yield and high productivity.